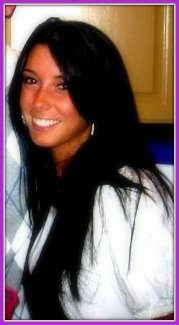 Bridal Belts, the must have accessory for 2012! 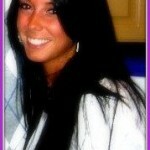 A really great trend that has come about more and more recently is wedding gown belts! There is no denying that a waist-cinching belt does wonders to flatter a bride’s body. It can define the waist, accentuates (or creates) curves, and adds some sparkle to your wedding dress. Bridal sashes and belts are more elaborate then ever because of the endless options and styles available to fit every customer’s style. They work best for a bride that wants to add a pop of color to an all-white wedding dress, add even more bling, or just wants an eye-catching element of texture. 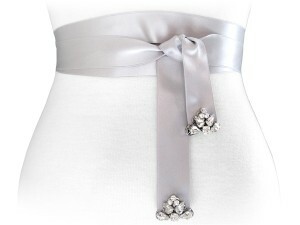 At Couture Bridal Co. we offer a wide range of these sashes and belts! A couple varieties are The Hailee Bridal Belt/Sash. This sash has medallions and jewels embracing the ends of a long, thin ribbon. Worn endless ways, you can wrap the sash around your waist several times, tie a simple knot or even a bow. It radiates contemporary sophistication. Another option which has options to come in a couple colors as well is the Bel Aire Bridal Belt/Sash BT015. 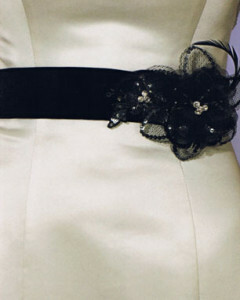 It is a belt with a sequin flower and feathers at the side that comes in white, ivory, diamond white, and black velvet. A final belt that has no accent color but a gorgeous and just perfect amount of bling is Bel Aire B-102. 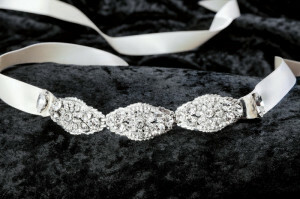 It’s 86″ long double face satin ribbon belt 5/8″ wide on the sides of 3 delicate center oval rhinestone filigrees. All three of these pieces are available at Couture Bridal Co. now along with many others. Come on in to add these beautiful additions to your bridal gown now!